LeBron James: Akron, Ohio's 'Shooting Star' Before LeBron James became one of the biggest stars in the NBA, he was just a kid from Akron, Ohio. Shooting Stars tells the story of his early years. James and his high school coach, Dru Joyce, talk about life before the NBA. LeBron James plays forward for the Cleveland Cavaliers. 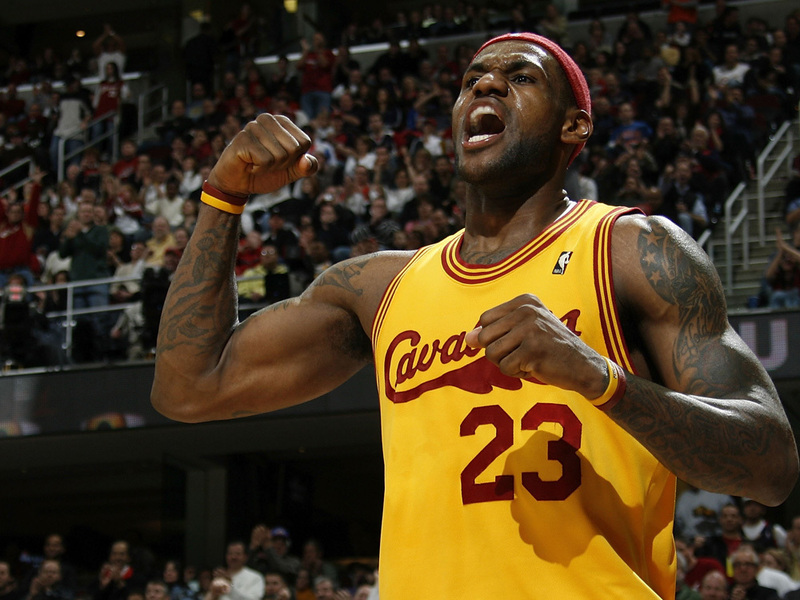 Before LeBron James became one of the biggest stars in the NBA, he was just a kid from Akron, Ohio. In junior high, he met three boys — Dru Joyce III, Willie McGee and Sian Cotton — whom he played with through high school. He and his friends called themselves "The Fab Four," and James also calls them his brothers. James went on to be the No. 1 NBA draft pick, selected by the Cleveland Cavaliers straight out of high school. Since then, he's led the Cavs into the playoffs each year since 2006. Shooting Stars is the story of his early years. James and his high school coach, Dru Joyce, talk about life before the NBA. I rode my bike all over Akron when I was small, going here, going there, just trying to stay out of trouble, just trying to keep busy, just really hoping the chain wouldn't break like it sometimes did. If you went high up on North Hill in the 1980s, you could tell that life was not like it once was: the obsolete smokestacks in the distance, the downtown that felt so tired and weary. I won't deny it — there was something painful about all of that. It got to me, this place in northeastern Ohio that had once been so mighty (at one point it was the fastest-growing city in the country) but was mighty no more. This place that was struggling to be something again. It was still my hometown. The more I rode my bike around, and you could ride just about everywhere because it was midwestern small and compact, the more familiar I became with it. I rode along Copley Road, the main thoroughfare of West Akron, past the dark of redbrick apartment buildings with red-trimmed windows. A little bit farther up, I went past the Laundry King and Queen Beauty Supply. Riding along East Avenue, which took you from the western part of the city into the south, I went past modest two-story homes with porches and the brown concrete of the Ed Davis Community Center. I descended into the valley of South Akron along Thornton Street, past the blond brick of Roush's Market and the Stewart & Calhoun Funeral Home. South Akron was a tough neighborhood, but still I rode, past Akron Automatic Screw Products and the aluminum siding of the Thornton Terrace apartments. Along Johnston Street I went into the east side, past simple homes of red and green and blue that looked like a rainbow. I turned south on Arlington, past the Arlington Church of God and Bethel Baptist and Allied Auto. I came to the Goodyear clock tower, towering high like the Washington Monument and the great symbol of what Akron had once been, the "Rubber Capital of the World," producing tires by the millions until all the great factories closed. I biked up the north side into a section of the city known as the Bottom and went past the Elizabeth Park projects — my own home for a time — two-story apartment buildings in unsmiling rows, some of which had been condemned, some of which had been boarded up, some that had screen doors with the hinges torn off or the wire mesh stripped away. I headed back west and biked along Portage Path, a wealthy section of town with sprawling houses of brick and stone and shiny black shutters all perfectly aligned. I knew I would never live there unless some miracle happened, something fell from the sky, a shooting star that landed on top of me and my mom and made our lives better and carried us up from the projects. But that wasn't the Akron I thought of anyway. Much of it was taken up by the neighborhoods that I went past on my bike, humble homes with tiny tufts of lawn that people tended and took care of. Because even in my darkest days growing up, and there were some dark ones, ones that left me up half the night scared and lonely and worried, that's what Akron always meant to me — people taking care of things, people taking care of each other, people who found you and protected you and treated you like their own son even when you weren't. With a population of about 225,000 when I was growing up, it was still small enough to feel intimate, a place you could put your arms around, a place that would put its arms around you. There was something wholesome about it, the best of the Midwest, Cleveland without the 'hoods where you could go in and never come back out. One of my favorite spots in town was Swensons, which, straight out of Happy Days, still served up a burger and fries and Cherry Coke on a tray that was attached to the window of your car by a goofy-looking teenager still dealing with acne. I loved those burgers at Swensons, loved the scene and the smell and best of all the taste (order it with everything to get the full effect). But it wasn't until much later, when I was blessed with a skill I was able to develop, that I ever got much of a chance to eat one. A burger at Swensons? There was no way I could afford something like that. Growing up in the inner city is not the hardest thing in the world to do. What my mom Gloria went through — having me by herself when she was sixteen years old and trying to raise me and give me everything I wanted — was so much harder. But certainly it's also not the easiest place in the world to begin your life, particularly when you see so many people who never even get to the middle. You definitely have no choice but to see and hear things you never want to experience and you never ever want your kids to experience — violence and drug abuse and the mournful music of those police sirens wailing. You lie in bed, and you just know something bad is happening, something heavy, and you just thank the Lord that it isn't you out there in it, and you lie in bed some more and just wait for those sounds to go away. Eventually they do. But it's hard to fall back asleep after that. Sometimes it's impossible. Was there just a terrible fight? Are the police busting for drugs again? What was that noise? No matter how much I tried to shut everything out, and I have always been good at shutting everything out, they have an impact. But maybe not the way you might be thinking. Because it helps you grow up when you are an only child. It helps you to learn to take care of yourself. It also helps to motivate you — if you ever are lucky enough to find a way out of where you are, even if it's for a few hours, you are going to run with it as fast as you can. Whatever I went through, I always loved Akron. Even back then, growing up in the 1980s and 1990s, there was one thing that always bothered me. In school, whenever I looked at a map of the United States — because you know how schools are, there is always a map of the United States in every classroom — the first thing I did was look at Ohio. There was Cleveland, of course, because everybody knew Cleveland, former home of the legendary Browns and Jimmy Brown, home of the Indians. On some maps there might be the state capital of Columbus. Or even Cincinnati. But where was Akron? How come there was never Akron? Akron nobody, as far as the mapmakers were concerned. That always got to me. Why wasn't my hometown there? I don't remember how old I was exactly, maybe eight or nine. But I promised myself, in the funny way that little kids make promises over things that nobody else in the world cares about, that one day I was going to put Akron on the map. Maybe not literally, because you could tell those mapmakers were a prickly bunch, but I was going to let the world know where Akron was. I didn't know how. I just knew in my heart I was going to do it. But if you wish hard enough, try hard enough, find the right group of guys to dream along with you, then maybe, because there is always a maybe with dreams, they can come true. 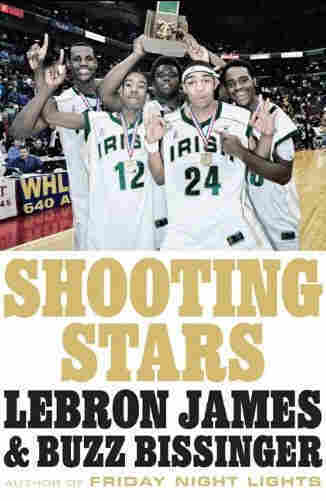 Excerpted from Shooting Stars by LeBron James and Buzz Bissinger. Reprinted by arrangement with The Penguin Press, a member of Penguin Group (USA), Inc. Copyright (c) September 2009.